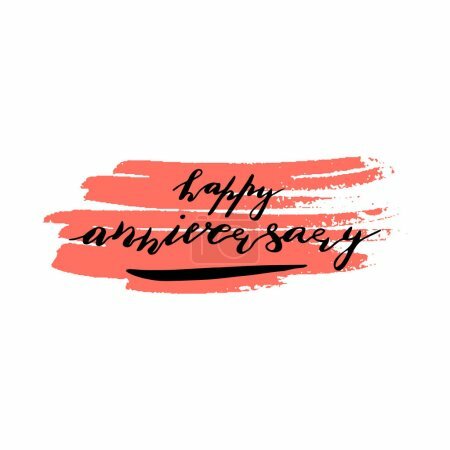 Custom hand lettering phrase happy anniversary. Handwritten holiday greeting text on pink ink grungy blot. Stock vector illustration. Isolated on white background.